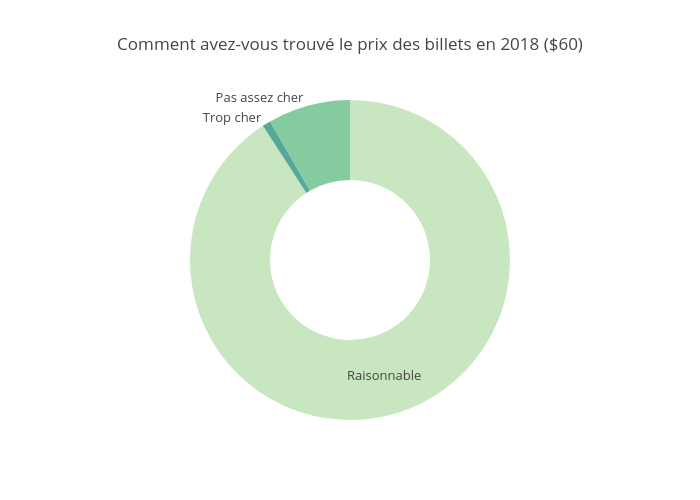 Jodymcintyre's interactive graph and data of "Comment avez-vous trouvé le prix des billets en 2018 ($60)" is a pie. The x-axis shows values from -1 to 6. The y-axis shows values from -1 to 4.